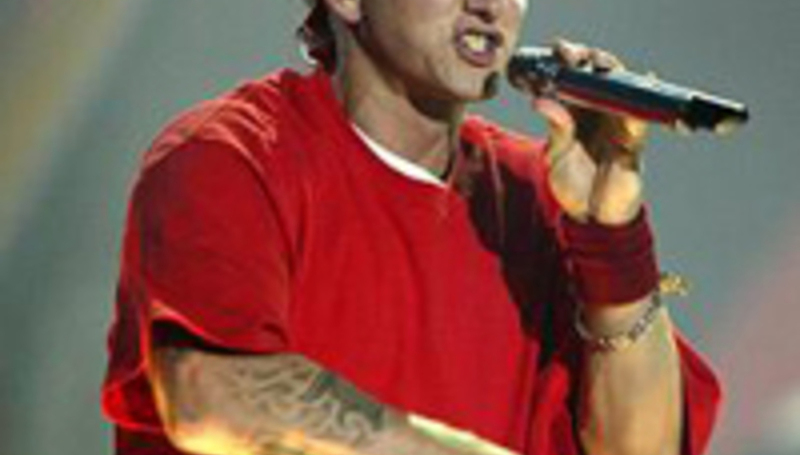 Will the real Slim Shaky please shape up: Eminem new face of Slim-Fast? Eminem’s expensively-insured waistline suffered more than most over the festive period, as the rap megastar was bedridden with the effects of pneumonia and what’s been described as a ‘serious heart condition’. The ballooned, 15 stone figure of Marshall Mathers did not go unnoticed at the offices of international dieting brand and original ‘your mum’ joke sponsors Slim-Fast, who’ve offered him a deal to be their new ‘face’. "Slim-Fast is a program that can really work for someone like Eminem,” said a spokesperson for the company. “It's a doable and flexible approach. "Slim-fast would love to offer Eminem product and assistance to help him become a potential S-F success story." The last few years have seen widespread rumours that the rapper, real name Marshall Mathers, was planning to retire his music career, although he told New York hip-hop station Hot 97 last year that work is underway on the first studio album since 2004’s Encore. Interscope have no release date for the record at this moment in time.